The city of Bullard, Texas is an idyllic, residential community that approximately 4,000 people call home. With its borders stretching into both Cherokee and Smith counties, it offers the highest quality schools and a convenient commute to both the cities of Tyler and Jacksonville. Its ability to provide such a high quality of life to its residents, while maintaining its charm as a residential hub has put Bullard on the path of growth, as even more families searching for a safe, established community are seeking out a home in Bullard. According to Chelci Amburgy, Bullard Director of Public Relations and Communications, the influx of younger citizens and families into the residential community has made it essential for the city to offer increased digital communication channels to more effectively reach residents with critical information. As part of Bullard’s efforts to reach its citizens in impactful ways with the information and messaging that matters most to them, Bullard implemented the CivicReady® mass notification system, part of the CivicPlus® integrated technology platform for local government. Before implementing CivicReady, Bullard’s communication strategy relied upon reaching businesses and subscribed residents with medical concerns via a hot list of contacts, and the use of a citizen notification subscription service with limited flexibility. In an effort to maximize its ability to reach citizens via text, phone, and voicemail notification, Bullard began searching for a more inclusive notification solution that would give it greater flexibility and broader capabilities to create and push urgent notifications to citizens in a timelier manner. At the time that the City of Bullard switched from its previous notification system to CivicReady, it was already utilizing CivicPlus’ CivicEngage® content management system (CMS) for the hosting and maintenance of its local government website. When choosing to replace Bullard’s existing notification system, CivicReady offered the flexibility and ease of use the city needed. According to Amburgy, CivicReady offered key features that were just as convenient for the Bullard’s end users—its residents. An additional element of the flexible CivicReady system that has been beneficial to Bullard is the manner in which the notifications appear to the subscriber. The city of Bullard has also chosen to integrate its CivicReady system with the Federal Emergency Management Agency’s (FEMA) Integrated Public Alert Warning System (IPAWS). While Bullard’s previous mass notification system was IPAWS capable, the service was never configured for the city’s account. As part of the implementation process, Amburgy worked to import into CivicReady contact information for the subscribers of the City’s existing notification system. She executes ongoing communication efforts aimed at residents about the value of the system and the convenience of subscribing to its notifications. Amburgy has used a variety of marketing tactics to encourage citizen subscribers. 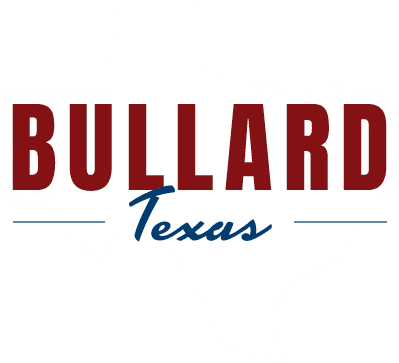 Bullard offers a form integrated into its CivicEngage website where citizens can subscribe to receive alerts. It also sent out notifications using its previous notification system and has promoted CivicReady via Facebook advertising campaigns and an article on its website. Fortunately for Bullard, it has not yet had to use the CivicReady mass notification system to notify citizens of an impending local emergency. However, CivicReady did allow Amburgy to inform citizens about an unexpected last-minute rescheduling of a local event. If you're ready to provide your citizens with more immediate access to urgent news and information, then it's time to see for yourself how fast and easy it is to create multi-channel notifications using CivicReady. Click below to sign up for a group webinar, or a one-on-one system demonstration.